The annual membership meeting of the Douglas County Historical Society (Minnesota) will be held Tuesday, April 16, 2019 at 5:30 pm at the Sen. Knute and Nicoline Nelson home, 1219 Nokomis, Alexandria, Minnesota, headquarters of the DCHS MN. All DCHS MN members are welcome to the meeting, with appetizers and refreshments served. This unique museum home is well-loved and inviting, a welcoming center of activity in the Alexandria community. 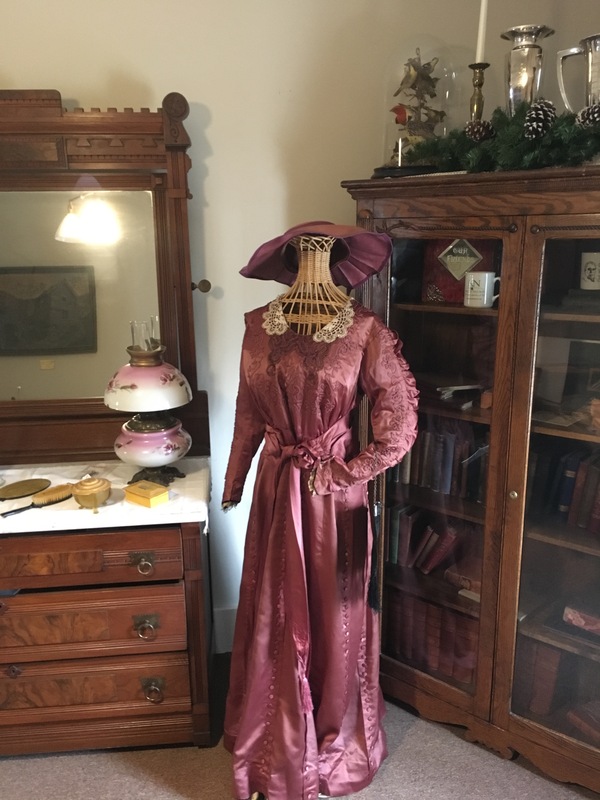 Unlike other historic homes, we welcome you to come visit, take a tour, and stand in the very rooms that Governor and then Senator Knute Nelson, his wife Nicoline, their children and guests enjoyed. Some of the items in the home were originally owned by Sen. Knute and Nicoline Nelson. Other items have been generously donated by local Douglas County families in honor of their ancestors from the area. 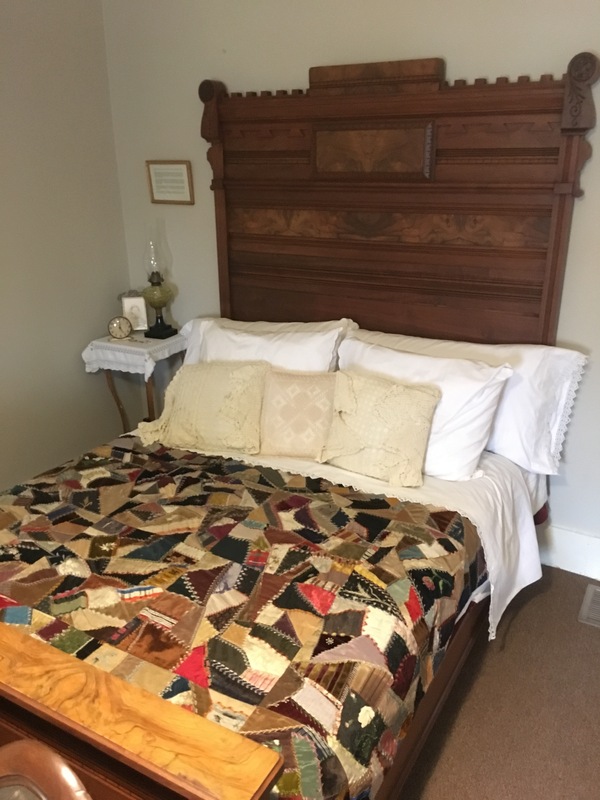 Sen. Knute and Nicolina Nelson’s master bedroom, with a donated crazy quilt. Historic displays in the master bedroom of Sen. Knute and Nicolina Nelson. Antiques in the home show visitors artifacts of daily life in an early 1900’s Minnesota home. 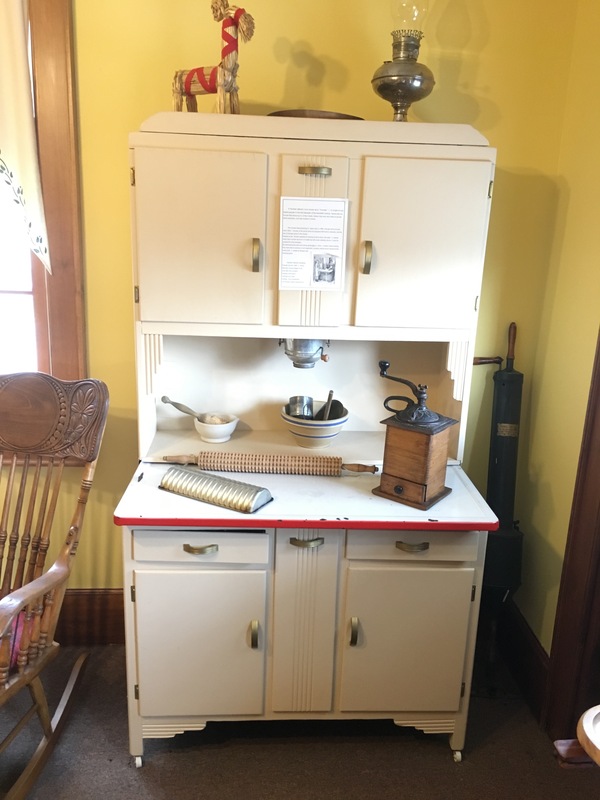 This Hoosier cabinet was an all-in-one baking station.